Laquinimod, an immunomodulatory agent under clinical development for Huntington disease (HD), has recently been shown to confer behavioural improvements that are coupled with prevention of atrophy of the white matter (WM)-rich corpus callosum (CC) in the YAC128 HD mice. However, the nature of the WM improvements is not known yet. 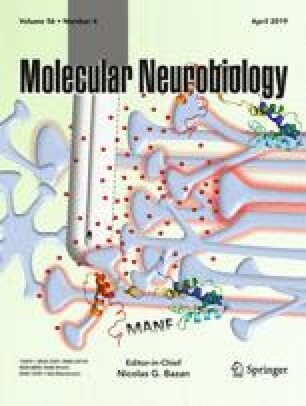 Here we investigated the effects of laquinimod on HD-related myelination deficits at the cellular, molecular and ultrastructural levels. We showed that laquinimod treatment improves motor learning and motor function deficits in YAC128 HD mice, and confirmed its antidepressant effect even at the lowest dose used. In addition, we demonstrated for the first time the beneficial effects of laquinimod on myelination in the posterior region of the CC where it reversed changes in myelin sheath thickness and rescued Mbp mRNA and protein deficits. Furthermore, the effect of laquinimod on myelin-related gene expression was not region-specific since the levels of the Mbp and Plp1 transcripts were also increased in the striatum. Also, we did not detect changes in immune cell densities or levels of inflammatory genes in 3-month-old YAC128 HD mice, and these were not altered with laquinimod treatment. Thus, the beneficial effects of laquinimod on HD-related myelination abnormalities in YAC128 HD mice do not appear to be dependent on its immunomodulatory activity. Altogether, our findings describe the beneficial effects of laquinimod treatment on HD-related myelination abnormalities and highlight its therapeutic potential for the treatment of WM pathology in HD patients. The online version of this article ( https://doi.org/10.1007/s12035-018-1393-1) contains supplementary material, which is available to authorized users. Microscopy images for this study were acquired at the SBIC-Nikon Imaging Centre (Biopolis, Singapore). M.G.M. designed and performed experiments, data analysis and interpretation, and wrote the manuscript. N.A.B.M.Y., J.Y.T., C.R., H.S. and L.J.T. performed experiments. N.Z. and M.R.H. contributed to the study design and revision of the manuscript. M.A.P. conceived and designed experiments, participated in analysis and interpretation of data, and wrote the manuscript. This study was supported by a grant from Teva Pharmaceuticals. M.A.P. is supported by a Strategic Positioning Fund for Genetic Orphan Diseases (SPF2012/005) from the Agency for Science Technology and Research, and by the National University of Singapore, Singapore. N.Z., H.B. and M.R.H. are employees of Teva Pharmaceuticals, and contributed to the study design and revision of the manuscript. Teva Pharmaceuticals played no role in the treatment or testing of animals, or the collection, analysis and interpretation of the results.